Douglas Haig, the eleventh child of John Haig, the head of the successful whisky distilling company, was born in Edinburgh on 19th June 1861. Haig was sent to Clifton College in 1875 and entered Brasenose College five years later. At Oxford University he led an active sporting and social life but left without taking a degree. Haig went to the Royal Military College at Sandhurst in 1884. His biographer, Trevor Wilson, has argued: "There he devoted himself to his work, developed a reputation for being aloof and taciturn, passed out first in his year, and was awarded the Anson memorial sword. He also made good progress as a horseman and polo player (he had played polo at Oxford), both important attributes for a cavalry officer." In 1885 Haig was commissioned into the 7th Queen's Hussars. His regiment was sent to India and after three years he was promoted to the rank of captain and was sent to the headquarters of the Bombay Army at Maharashtra. In 1893 he applied to enter the Camberley Staff College, but was rejected after a poor performance in the compulsory mathematics examination. Soon afterwards Haig was appointed aide-de-camp to the inspector-general of cavalry. In 1896 he finally secured entry to the Staff College, by nomination. Other officers at the college at this time included William Robertson, Edmund Allenby, Archibald Murray and George Milne. Robertson's biographer, David R. Woodward, has argued that he came under the influence of George Henderson who had made a detailed study of Stonewall Jackson and the American Civil War: "Robertson's intellectual mentor, the military theorist George F. R. Henderson, emphasized the concentration of forces in the primary theatre of the enemy in order to overwhelm his main force in a decisive battle. These principles served as a bond between Robertson and Haig when the two men dominated British military policy." In 1897 Major General Horatio Kitchener, commander-in-chief of the British Army in Egypt, decided to attempt the reconquest of the Sudan. Kitchener applied to London for a group of special service officers to participate in his largely Egyptian force. George Henderson suggested that Haig should be sent to serve under Kitchener. In 1898 he received his first experience of warfare when he took part in the Battle of Omdurman. Haig returned to Britain to become a brigade major at Aldershot. His commander was Major-General John French. In June 1899, French appointed Haig as his staff officer and later that year they went to South Africa to serve in the Boer War. As Trevor Wilson has pointed out: "French and Haig were then directed to Cape Town to take charge of their division, which was in the process of disembarking. They left Ladysmith amid a hail of gunfire in the last train to get away before the Boer trap closed. There followed, in December 1899, a month of disasters for nearly all British units. French's cavalry - again aided by Haig's staff work - provided an exception, holding at bay a numerically superior Boer force." In 1900 Haig was placed in charge of a cavalry division that had to deal with the Boers who resorted to guerrilla warfare. He was also directed to capture such leading opponents such as General Jan Smuts. On his return to England he argued that cavalry would be of greater rather than less importance in coming conflicts whereas infantry and artillery would "only likely to be really effective against raw troops". Lord Kitchener had been impressed with Haig and in 1903, when he became commander-in-chief in India, he appointed him his inspector-general of cavalry. 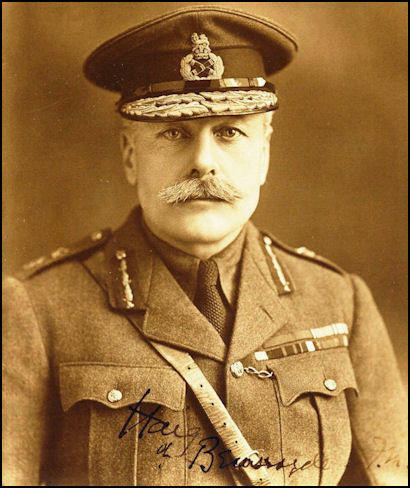 When Haig became major-general he was the youngest officer of that rank in the British Army. Haig became responsibe for training the Indian Cavalry. On 11th July, 1905, Haig married Dorothy Maud Vivian in the private chapel at Buckingham Palace. Vivian, the daughter of Hussey Crespigny Vivian, third Baron Vivian, and a former maid of honour to Queen Victoria and then to Queen Alexandra. Over the next few years she gave birth to three daughters and a son. These royal connections brought him to the attention of Reginald Brett, 2nd Viscount Esher. When R. B. Haldane became Secretary of State for War in 1905, Esher persuaded him to appoint Haig as director of military training. In 1906 Halsane created the Imperial General Staff under the leadership of Haig. The following year Haldane said "the basis of our whole military fabric must be the development of the idea of a real national army, formed by the people." This became known as the Territorial Army. According to Haldane's biographer, Colin Mathew: "Within a year there were 9,313 officers and 259,463 other ranks in the Territorial Force... His hopes that the officer training corps would act as a catalyst for a greater union between army and society were improbable, but in the officer training corps (later, in schools, the combined cadet force) he created an organization of profound significance to the ethos of British public school education for much of the twentieth century." Colonel Charles Repington, the military correspondent of The Times, and a staunch critic of the Liberal Party, described Haldane as "the best Secretary of State we have had at the War Office so far as brain and ability are concerned" and generally supported his military reforms. Trevor Wilson argues: "Haig also aided in establishing the Imperial General Staff, under whose guidance the self-governing dominions modelled both their military establishments and their training procedures on British practices, and so readied themselves to participate alongside Britain's forces in the event of an international war." 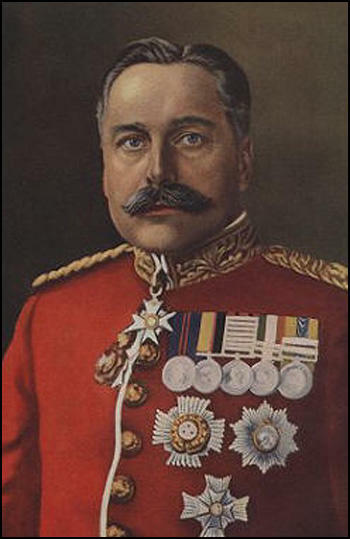 In 1909 Haig was appointed as chief of staff in India. The following year he was promoted to the rank of lieutenant-general. In 1911 R. B. Haldane arranged for Haig to take control of the 1st Army Corps of the British Expeditionary Force (BEF) based in Aldershot. On the outbreak of the First World War Haig was summoned by Herbert Henry Asquith to attend the first war council. Also present was General John French, the commander-in-chief of the BEF. At the meeting French argued that the BEF should be sent to Antwerp to help the Belgians in the defence of that city. Haig disagreed, and urged following the pre-war arrangement whereby the BEF would take its place on the left of the French Army and act in unison with it in support of Belgium. Asquith accepted Haig's argument and Haig left for France on 15th August. Haig commanded his forces at Mons and was praised for his Ypres campaign in 1914. Later in the same year, Haig was promoted to full general and was given command of the recently enlarged BEF, under the supreme command of General John French. The military historian, Llewellyn Woodward, has arged: "His knowledge of his profession was sound and solid; he was a man of strong nerve, resolute, patient, somewhat cold and reserved in temper, unlikely to be thrown off his balance either by calamity or success. He reached opinions slowly, and held to them. He made up his mind in 1915 that the war could be won on the Western Front, and only on the Western Front. He acted on this view, and, at the last, he was right, though it is open to argument not only that victory could have been won sooner elsewhere but that Haig's method of winning it was clumsy, tragically expensive of life, and based for too long on a misreading of the facts." Woodward has also questioned the morality of the policy of attrition. He described it as the "killing Germans until the German army was worn down and exhausted". Woodward argued that it "was not only wasteful and, intellectually, a confession of impotence; it was also extremely dangerous. The Germans might counter Haig's plan by allowing him to wear down his own army in a series of unsuccessful attacks against a skilful defence." In December 1915, Haig was appointed commander in chief of the BEF. His close friend, John Charteris, was promoted to the rank of brigadier-general and was given the title of Chief Intelligence Officer at GHQ. This created conflict between Haig and the War Office. Christopher Andrew, the author of Secret Service: The Making of the British Intelligence Community (1985): "Haig installed his own man, Brigadier John Charteris, with Kirke as his deputy. Charteris was a determined optimist and his intelligence analyses were soon in conflict with the more realistic estimates produced by Macdonogh in the War Office. Though Kirke's sympathies were with Macdonogh, Haig sided with Charteris". Haig claimed that Macdonogh's views caused "many in authority to take a pessimistic outlook, when a contrary view, based on equally good information, would go far to help the nation onto Victory." Major Desmond Morton served as one of Haig's adjutants. He later recalled: "He (Haig) hated being told any new information, however irrefutable, which militated against his preconceived ideas or beliefs. Hence his support for the desperate John Charteris, who was incredibly bad as head of GHQ intelligence, who always concealed bad news, or put it in an agreeable light." General William Robertson eventually got approval for a major offensive on the Western Front in the summer of 1916. The Battle of the Somme was planned as a joint French and British operation. The idea originally came from the French Commander-in-Chief, Joseph Joffre and was accepted by General Haig, the British Expeditionary Force (BEF) commander, despite his preference for a large attack in Flanders. Although Joffre was concerned with territorial gain, it was also an attempt to destroy German manpower. At first Joffre intended for to use mainly French soldiers but the German attack on Verdun in February 1916 turned the Somme offensive into a large-scale British diversionary attack. General Haig now took over responsibility for the operation and with the help of General Henry Rawlinson, came up with his own plan of attack. Haig's strategy was for a eight-day preliminary bombardment that he believed would completely destroy the German forward defences. Haig later pointed out in his book, Dispatches (1919): "The enemy's position to be attacked was of a very formidable character, situated on a high, undulating tract of ground. The first and second systems each consisted of several lines of deep trenches, well provided with bomb-proof shelters and with numerous communication trenches connecting them. The front of the trenches in each system was protected by wire entanglements, many of them in two belts forty yards broad, built of iron stakes, interlaced with barbed-wire, often almost as thick as a man's finger. Defences of this nature could only be attacked with the prospect of success after careful artillery preparation." General Rawlinson was was in charge of the main attack and his Fourth Army were expected to advance towards Bapaume. To the north of Rawlinson, General Edmund Allenby and the British Third Army were ordered to make a breakthrough with cavalry standing by to exploit the gap that was expected to appear in the German front-line. Further south, General Fayolle was to advance with the French Sixth Army towards Combles. General Haig used 750,000 men (27 divisions) against the German front-line (16 divisions). However, the bombardment failed to destroy either the barbed-wire or the concrete bunkers protecting the German soldiers. This meant that the Germans were able to exploit their good defensive positions on higher ground when the British and French troops attacked at 7.30 on the morning of the 1st July. The BEF suffered 58,000 casualties (a third of them killed), therefore making it the worse day in the history of the British Army. Haig was not disheartened by these heavy losses on the first day and ordered General Henry Rawlinson to continue making attacks on the German front-line. A night attack on 13th July did achieve a temporary breakthrough but German reinforcements arrived in time to close the gap. Haig believed that the Germans were close to the point of exhaustion and continued to order further attacks expected each one to achieve the necessary breakthrough. Although small victories were achieved, for example, the capture of Pozieres on 23rd July, these gains could not be successfully followed up. Colonel Charles Repington, the military correspondent of The Times, had a meeting with Haig during the offensive at the Somme: "He explained things on the map. It is staff work rather than generalship which is necessary for this kind of fighting. He laid great stress on his raids, and he showed me on a map where these had taken place. He said that he welcomed criticisms, but when I mentioned the criticisms which I had heard of his misuse of artillery on July 1, he did not appear to relish it, and denied its truth. As he was not prepared to talk of things of real interest, I said very little, and left him to do the talking. I also had a strong feeling that the tactics of July 1 had been bad. I don't know which of us was the most glad to be rid of the other." Christopher Andrew, the author of Secret Service: The Making of the British Intelligence Community (1985), has argued that Brigadier-General John Charteris, the Chief Intelligence Officer at GHQ. was partly responsible for this disaster: "Charteris's intelligence reports throughout the five-month battle were designed to maintain Haig's morale. Though one of the intelligence officer's duties may be to help maintain his commander's morale, Charteris crossed the frontier between optimism and delusion." As late as September 1916, Charteris was telling Haig: "It is possible that the Germans may collapse before the end of the year." On 15th September General Alfred Micheler and the Tenth Army joined the battle in the south at Flers-Courcelette. Despite using tanks for the first time, Micheler's 12 divisions gained only a few kilometres. Whenever the weather was appropriate, General Haig ordered further attacks on German positions at the Somme and on the 13th November the BEF captured the fortress at Beaumont Hamel. However, heavy snow forced Haig to abandon his gains. Robertson's biographer, David R. Woodward, has pointed out: "British losses on the first day of the Somme offensive - almost 60,000 casualties - shocked Robertson. Haig's one-step breakthrough attempt was the antithesis of Robertson's cautious approach of exhausting the enemy with artillery and limited advances. Although he secretly discussed more prudent tactics with Haig's subordinates he defended the BEF's operations in London. The British offensive, despite its limited results, was having a positive effect in conjunction with the other allied attacks under way against the central powers. The continuation of Haig's offensive into the autumn, however, was not so easy to justify." Captain Charles Hudson was one of those officers who took part in the battle. He later wrote: "It is difficult to see how Haig, as Commander-in-Chief living in the atmosphere he did, so divorced from the fighting troops, could fulfil the tremendous task that was laid upon him effectively. I did not believe then, and I do not believe now that the enormous casualties were justified. Throughout the war huge bombardments failed again and again yet we persisted in employing the same hopeless method of attack. Many other methods were possible, some were in fact used but only half-heartedly." Private James Lovegrove was also highly critical of Haig's tactics: "The military commanders had no respect for human life. General Douglas Haig... cared nothing about casualties. Of course, he was carrying out government policy, because after the war he was knighted and given a lump sum and a massive life-pension. I blame the public schools who bred these ego maniacs. They should never have been in charge of men. Never." With the winter weather deteriorating General Haig now brought an end to the Somme Offensive. Since the 1st July, the British has suffered 420,000 casualties. The French lost nearly 200,000 and it is estimated that German casualties were in the region of 500,000. Allied forces gained some land but it reached only 12km at its deepest points. Haig wrote at the time: "The results of the Somme fully justify confidence in our ability to master the enemy's power of resistance." Encouraged by the gains made at the offensive at Messines in June 1917, Haig became convinced that the German Army was now close to collapse and once again made plans for a major offensive to obtain the necessary breakthrough. The opening attack at Passchendaele was carried out by General Hubert Gough and the British Fifth Army with General Herbert Plumer and the Second Army joining in on the right and General Francois Anthoine and the French First Army on the left. After a 10 day preliminary bombardment, with 3,000 guns firing 4.25 million shells, the British offensive started at Ypres a 3.50 am on 31st July. Allied attacks on the German front-line continued despite very heavy rain that turned the Ypres lowlands into a swamp. The situation was made worse by the fact that the British heavy bombardment had destroyed the drainage system in the area. This heavy mud created terrible problems for the infantry and the use of tanks became impossible. As William Beach Thomas, a journalist working for The Daily Mail, pointed out: "Floods of rain and a blanket of mist have doused and cloaked the whole of the Flanders plain. The newest shell-holes, already half-filled with soakage, are now flooded to the brim. The rain has so fouled this low, stoneless ground, spoiled of all natural drainage by shell-fire, that we experienced the double value of the early work, for today moving heavy material was extremely difficult and the men could scarcely walk in full equipment, much less dig. Every man was soaked through and was standing or sleeping in a marsh. It was a work of energy to keep a rifle in a state fit to use." Lieutenant Robert Sherriff was a junior officer at Passchendaele: "The living conditions in our camp were sordid beyond belief. The cookhouse was flooded, and most of the food was uneatable. There was nothing but sodden biscuits and cold stew. The cooks tried to supply bacon for breakfast, but the men complained that it smelled like dead men." The German Fourth Army held off the main British advance and restricted the British to small gains on the left of the line. Haig now called off the attacks and did not resume the offensive until the 26th September. An attack on 4th October enabled the British forces to take possession of the ridge east of Ypres. Despite the return of heavy rain, Haig ordered further attacks towards the Passchendaele Ridge. Attacks on the 9th and 12th October were unsuccessful. As well as the heavy mud, the advancing British soldiers had to endure mustard gas attacks. Three more attacks took place in October and on the 6th November the village of Passchendaele was finally taken by British and Canadian infantry. The offensive cost the British Army about 310,000 casualties and Haig was severely criticised for continuing with the attacks long after the operation had lost any real strategic value. Lieutenant Bernard Montgomery was also highly critical of his senior officers on the Western Front during the First World War. "The higher staffs were out of touch with the regimental officers and with the troops. The former lived in comfort, which became greater as the distance of their headquarters behind the lines increased. There was no harm in this provided there was touch and sympathy between the staff and the troops. This was often lacking. The frightful casualties appalled me. There is a story of Sir Douglas Haig's Chief of Staff who was to return to England after the heavy fighting during the winter of 1917-18 on the Passchendaele front. Before leaving he said he would like to visit the Passchendaele Ridge and see the country. When he saw the mud and the ghastly conditions under which the soldiers had fought and died." Apparently he was upset by what he saw and said: "Do you mean to tell me that the soldiers had to fight under such conditions? Why was I never told about this before?" Haig's biographer, Trevor Wilson, has defended his tactics during the First World War: "Haig's critics have rarely acknowledged the formidable problems which confronted him. He was required - by his political masters, by a vociferous media, and by the determination of the British public - not just to hold the line but to get on and win the war: that is, to carry the struggle to the enemy and drive the invader from the soil of France and Belgium. Yet consequent upon the relative equality of manpower and industrial resources between the two sides, and upon the clear advantages which developments in weaponry had bestowed upon the defender, there was no sure path to victory on offer, and any offensive operation was bound to bring heavy loss of life upon the attacking forces. Nor do Haig's critics usually notice the respects in which he responded positively to the changing face of warfare. For example, he embraced with enthusiasm both new devices of battle, such as tanks and aircraft, and new methods of employing established weaponry, such as striking innovations for increasing the effectiveness of artillery: aerial photography, sound-ranging, and flash-spotting." After the failure of British tanks in the thick mud at Passchendaele, Colonel John Fuller, chief of staff to the Tank Corps, suggested a massed raid on dry ground between the Canal du Nord and the St Quentin Canal. General Julian Byng, commander of the Third Army, accepted Fuller's plan, although it was originally vetoed by Haig. However, he changed his mind and decided to launch the Cambrai Offensive. In September 1917 a munity took place at Etaples. Private William Brooks was one of those who was present at these disturbances: "There was a big riot by the Australians at a place called Etaples. They called it collective indiscipline, what it was was mutiny. It went on for days. I think a couple of military police got killed. Field Marshall Haig would have shot the leaders but dared not of course because they were Aussies. Haig's nickname was the butcher. He'd think nothing of sending thousands of men to certain death. The utter waste and disregard for human life and human suffering by the so-called educated classes who ran the country. What a wicked waste of life. I'd hate to be in their shoes when they face their Maker." Brigadier-General John Charteris, the Chief Intelligence Officer at GHQ was involved in the planning of the offensive at Cambrai in November 1917. Lieutenant James Marshall-Cornwall discovered captured documents that three German divisions from the Russian front had arrived to strengthen the Cambrai sector. Charteris told Marshall-Cornwall: "This is a bluff put up by the Germans to deceive us. I am sure the units are still on the Russian front... If the commander in chief were to think that the Germans had reinforced this sector, it might shake his confidence in our success." Haig, who was not given this information, ordered a massed tank attack at Artois. Launched at dawn on 20th November, without preliminary bombardment, the attack completely surprised the German Army defending that part of the Western Front. Employing 476 tanks, six infantry and two cavalry divisions, the British Third Army gained over 6km in the first day. Progress towards Cambrai continued over the next few days but on the 30th November, 29 German divisions launched a counter-offensive. An official inquiry carried out after the military defeat at Cambrai blamed Brigadier-General John Charteris for "intelligence failures". The Secretary of State for War, the Earl of Derby, insisted that Haig sacked Charteris and in January 1918, he was appointed as deputy director of transportation in France. Haig wrote at the time: "He (Charteris) seems almost a sort of Dreyfus in the eyes of our War Office authorities." The journalist, Henry Hamilton Fyfe, met Haig several times during the war: "Haig was, in truth, at close quarters very disappointing. He looked the part. His face on a postcard was not less impressive than Kitchener's. But - his face was his fortune. He had little general intelligence, no imagination.... Haig was as shy as a schoolgirl. He was afraid of newspaper men - afraid of any men but those he gathered round him, and they were mostly like himself. If ever the history of the war is written as frankly as that of Napoleon's campaign has been, Haig will be held accountable for the appalling slaughter in the Somme battles and in Flanders, caused by his flinging masses of men against positions far too strong to be carried by assault." In 1918 Haig took charge of the successful British advances on the Western Front which led to an Allied victory later that year. John Buchan wrote: "When the last great enemy attack came he (Haig) took the main shock with a quiet resolution; when the moment arrived for the advance he never fumbled. He broke through the Hindenburg line in spite of the doubts of the British Cabinet, because he believed that only thus could the War be ended in time to save civilisation. He made the decision alone - one of the finest proofs of moral courage in the history of war. Haig cannot enter the small circle of the greater captains, but it may be argued that in the special circumstances of the campaign his special qualities were the ones most needed - patience, sobriety, balance of temper, unshakable fortitude." After the war Haig was posted as commander in chief of home forces until his retirement in 1921. Haig was granted £100,000 by the British government. This did not go down well with those soldiers who were finding it difficult to find work during this period. George Coppard wrote: "During this time the government, in the flush of victory, were busily engaged in fixing the enormous sums to be voted as gratuities to the high-ranking officers who had won the war for them. Heading the formidable list were Field Marshal Sir Douglas Haig and Admiral Sir David Beatty. For doing the jobs for which they were paid, each received a tax-free golden handshake of £100,000 (a colossal sum then), an earldom and, I believe, an estate to go with it." Haig devoted the rest of his life to the welfare of ex-servicemen via the Royal British Legion. He was made Earl Haig in 1919 and then Baron Haig of Bemersyde in 1921. Trevor Wilson has pointed out: "These united existing associations of former servicemen in a single body for each country, and Haig became president of both organizations. And he accepted chairmanship of the United Services Fund, formed to administer for the benefit of former soldiers and their families the large profits made during the war by army canteens. At the time these bodies constituted between them the largest benevolent organization ever formed in Britain." In the 1920s Haig was severely criticised for the tactics used at offensives such as the one at the Somme. This included the prime minister of the time, David Lloyd George: "It is not too much to say that when the Great War broke out our Generals had the most important lessons of their art to learn. Before they began they had much to unlearn. Their brains were cluttered with useless lumber, packed in every niche and corner. Some of it was never cleared out to the end of the War. They knew nothing except by hearsay about the actual fighting of a battle under modern conditions. Haig ordered many bloody battles in this War. He only took part in two. He never even saw the ground on which his greatest battles were fought, either before or during the fight. The tale of these battles constitutes a trilogy, illustrating the unquestionable heroism that will never accept defeat and the inexhaustible vanity that will never admit a mistake." Duff Cooper, who was commissioned by the Haig family to write his official biography, argued: "There are still those who argue that the Battle of the Somme should never have been fought and that the gains were not commensurate with the sacrifice. There exists no yardstick for the measurement of such events, there are no returns to prove whether life has been sold at its market value. There are some who from their manner of reasoning would appear to believe that no battle is worth fighting unless it produces an immediately decisive result which is as foolish as it would be to argue that in a prize fight no blow is worth delivering save the one that knocks the opponent out. As to whether it were wise or foolish to give battle on the Somme on the first of July, 1916, there can surely be only one opinion. To have refused to fight then and there would have meant the abandonment of Verdun to its fate and the breakdown of the co-operation with the French." It seemed that Haig had not learnt the lessons of the First World War. In 1926 he wrote: "I believe that the value of the horse and the opportunity for the horse in the future are likely to be as great as ever. Aeroplanes and tanks are only accessories to the men and the horse, and I feel sure that as time goes on you will find just as much use for the horse - the well-bred horse - as you have ever done in the past." 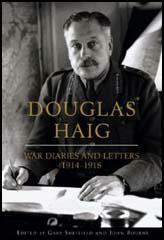 Douglas Haig died suddenly of heart failure, at 21 Prince's Gate, London, on 29th January 1928. He was accorded a state funeral in Westminster Abbey. He was buried at Dryburgh Abbey, near Bemersyde, in the Scottish Borders. (a) Preliminary preparations such as advancing our trenches and saps, construction of dummy assembling trenches, gun emplacements, etc. (b) Wire cutting at intervals along the entire front with a view to inducing the enemy to man his defences and causing fatigue. (c) Gas discharges, where possible, at selected places along the whole British front, accompanied by a discharge of smoke, with a view to causing the enemy to wear his gas helmets and inducing fatigue and causing casualties. (d) Artillery barrages on important communications with a view to rendering reinforcements, relief, and supply difficult. (e) Bombardment of rest billets by night. (f) Intermittent smoke discharges by day, accompanied by shrapnel fire on the enemy's front defences with a view to inflicting loss. (g) Raids by night, of the strength of a company and upwards, on an extensive scale, into the enemy's front system of defences. These to be prepared by intense artillery and trench-mortar bombardments. (2) Sir Douglas Haig explained the importance of using heavy artillery at the Battle of the Somme in his book Dispatches, that was published after the war. The enemy's position to be attacked was of a very formidable character, situated on a high, undulating tract of ground. The first and second systems each consisted of several lines of deep trenches, well provided with bomb-proof shelters and with numerous communication trenches connecting them. The front of the trenches in each system was protected by wire entanglements, many of them in two belts forty yards broad, built of iron stakes, interlaced with barbed-wire, often almost as thick as a man's finger. Defences of this nature could only be attacked with the prospect of success after careful artillery preparation. On the spur running south from Thiepval the work known as the Leipzig Salient was stormed, and severe fighting took place for the possession of the village and its defences. Here and north of the valley of the Ancre as far as Serre, on the left flank of our attack, our initial successes were not sustained. Striking progress was made at many points, and parties of troops penetrated the enemy's positions to the outer defences of Grandcourt, and also to Pendant Copse and Serre; but the enemy's continued resistance at Thiepval and Beaumont Hamel made it impossible to forward reinforcements and ammunition, and, in spite of their gallant efforts, our troops were forced to withdraw during the night to their own lines. The subsidiary attack at Gommecourt also forced its way into the enemy's positions; but there met with such vigorous opposition that, as soon as it was considered that the attack had fulfilled its object, our troops were withdrawn. 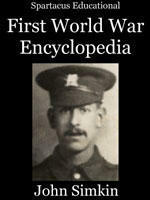 (4) Charles Repington worked as a military correspondent for The Times during the First World War. Repington recorded in his diary a meeting he had with Sir Douglas Haig on 8th July, 1916. I went by invitation to G.H.Q., which are at Beauquesne, north of Amiens. Haig is living at a chateau in a wood on the right-hand side of the road, a mile along the Marieux road. I found Haig with Kiggell: the latter was very pleasant, but spoke little. Haig explained things on the map. It is staff work rather than generalship which is necessary for this kind of fighting. He laid great stress on his raids, and he showed me on a map where these had taken place. He said that he welcomed criticisms, but when I mentioned the criticisms which I had heard of his misuse of artillery on July 1, he did not appear to relish it, and denied its truth. As he was not prepared to talk of things of real interest, I said very little, and left him to do the talking. I also had a strong feeling that the tactics of July 1 had been bad. I don't know which of us was the most glad to be rid of the other. (5) After the war David Lloyd George wrote about General Haig's tactics in his war memoirs. It is not too much to say that when the Great War broke out our Generals had the most important lessons of their art to learn. Before they began they had much to unlearn. Their brains were cluttered with useless lumber, packed in every niche and corner. Some of it was never cleared out to the end of the War. They knew nothing except by hearsay about the actual fighting of a battle under modern conditions. Haig ordered many bloody battles in this War. He only took part in two. He never even saw the ground on which his greatest battles were fought, either before or during the fight. The tale of these battles constitutes a trilogy, illustrating the unquestionable heroism that will never accept defeat and the inexhaustible vanity that will never admit a mistake. It is the story of the million who would rather die than own themselves as cowards - even to themselves - and also of the two or three individuals who would rather the million perish than that they as leaders should own - even to themselves - that they were blunderers. Ought I have vetoed it? Ought I not to have resigned rather than acquiesce in this slaughter of brave men? I have always felt there are solid grounds for criticism in that respect. My sole justification is that Haig promised not to press the attack if it became clear that he could not attain his objectives by continuing the offensive. It is difficult to see how Haig, as Commander-in-Chief living in the atmosphere he did, so divorced from the fighting troops, could fulfil the tremendous task that was laid upon him effectively. I did not believe then, and I do not believe now that the enormous casualties were justified. Throughout the war huge bombardments failed again and again yet we persisted in employing the same hopeless method of attack. Many other methods were possible, some were in fact used but only half-heartedly. Our sudden unheralded attack at Cambrai was not followed up: the German success on 21 March 1918 was said to be largely due to the fog and our lightly held front; an attack at night on a quiet sector would have produced similar conditions. Tunnelling under the enemy wire on a large scale would have got over the need for the destruction of the forward defences by a bombardment which made the ground impassable. Planned withdrawal, followed by a planned counter-attack, would have raised political difficulties and military risks. but how great were the possibilities. The politicians thought only in terms of strategy, of avoiding casualties by finding some distant way round the stalemate on the Western Front. Had either the French or ourselves been able to find a general of a calibre required. the stalemate could have been overcome tactically. The one hopeless tactic, the mass bombardment, which was repeatedly tried, was proved again and again to be fruitless. (7) Duff Cooper was asked by the Haig family to write Sir Douglas Haig's official biography. 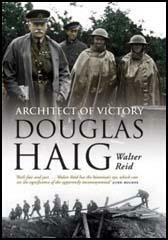 Published in 1937 the book included an evaluation of Haig's tactics at the Battle of the Somme. There are still those who argue that the Battle of the Somme should never have been fought and that the gains were not commensurate with the sacrifice. There exists no yardstick for the measurement of such events, there are no returns to prove whether life has been sold at its market value. There are some who from their manner of reasoning would appear to believe that no battle is worth fighting unless it produces an immediately decisive result which is as foolish as it would be to argue that in a prize fight no blow is worth delivering save the one that knocks the opponent out. As to whether it were wise or foolish to give battle on the Somme on the first of July, 1916, there can surely be only one opinion. To have refused to fight then and there would have meant the abandonment of Verdun to its fate and the breakdown of the co-operation with the French. During this time the government, in the flush of victory, were busily engaged in fixing the enormous sums to be voted as gratuities to the high-ranking officers who had won the war for them. Heading the formidable list were Field Marshal Sir Douglas Haig and Admiral Sir David Beatty. For doing the jobs for which they were paid, each received a tax-free golden handshake of £100,000 (a colossal sum then), an earldom and, I believe, an estate to go with it. Many thousands of pounds went to leaders lower down the scale. Sir Julian Byng picked up a trifle of £30,000 and was made a viscount. If any reader should ask, "What did the demobbed Tommy think about all this?" I can only say, "Well, what do you think?'" (9) Philip Gibbs watched the preparation for the major offensive at the Somme in July, 1916. Before dawn, in the darkness, I stood with a mass of cavalry opposite Fricourt. Haig as a cavalry man was obsessed with the idea that he would break the German line and send the cavalry through. It was a fantastic hope, ridiculed by the German High Command in their report on the Battles of the Somme which afterwards we captured. In front of us was not a line but a fortress position, twenty miles deep, entrenched and fortified, defended by masses of machine-gun posts and thousands of guns in a wide arc. No chance for cavalry! But on that night they were massed behind the infantry. Among them were the Indian cavalry, whose dark faces were illuminated now and then for a moment, when someone struck a match to light a cigarette. (10) In an interview in 1993, William Brooks, a private in the British Army was highly critical of Sir Douglas Haig. The Yanks and the Aussies were disgusted at the way our officers treated us. There were cases where British officers tried to put Yanks or Aussie soldiers in front of a firing-squad but couldn't get away with it. If they had, I reckon those countries would have pulled out of the war and left us to it. There was a big riot about September 1917 by the Australians at a place called Etaples. They called it "collective indiscipline", what it was was mutiny. It went on for days. I think a couple of military police got killed. Field Marshall Haig would have shot the leaders but dared not of course because they were Aussies. Haig's nickname was the butcher. He'd think nothing of sending thousands of men to certain death. The utter waste and disregard for human life and human suffering by the so-called educated classes who ran the country. What a wicked waste of life. I'd hate to be in their shoes when they face their Maker. (11) James Lovegrove, a lieutenant in the British Army was highly critical of Britain's military commanders. The military commanders had no respect for human life. General Douglas Haig, later he was made a Field Marshal, cared nothing about casualties. Of course, he was carrying out government policy, because after the war he was knighted and given a lump sum and a massive life-pension. I blame the public schools who bred these ego maniacs. They should never have been in charge of men. Never. (12) Henry Hamilton Fyfe, worked for the Daily Mail and met Sir Douglas Haig several times during the First World War. Haig was, in truth, at close quarters very disappointing. He looked the part. His face on a postcard was not less impressive than Kitchener's. But - his face was his fortune. He had little general intelligence, no imagination. When the official war correspondents, much against his will, first went out to France, he made them a speech of "welcome". He said he knew what they wanted. "Something for Mary Jane in the kitchen to read." Haig was as shy as a schoolgirl. He was afraid of newspaper men - afraid of any men but those he gathered round him, and they were mostly like himself. If ever the history of the war is written as frankly as that of Napoleon's campaign has been, Haig will be held accountable for the appalling slaughter in the Somme battles and in Flanders, caused by his flinging masses of men against positions far too strong to be carried by assault. (13) Lieutenant Bernard Montgomery was highly critical of his senior officers on the Western Front during the First World War. The higher staffs were out of touch with the regimental officers and with the troops. The former lived in comfort, which became greater as the distance of their headquarters behind the lines increased. There was no harm in this provided there was touch and sympathy between the staff and the troops. This was often lacking. The frightful casualties appalled me. The so-called "good fighting generals" of the war appeared to me to be those who had a complete disregard for human life. There is a story of Sir Douglas Haig's Chief of Staff who was to return to England after the heavy fighting during the winter of 1917-18 on the Passchendaele front. Before leaving he said he would like to visit the Passchendaele Ridge and see the country. When he saw the mud and the ghastly conditions under which the soldiers had fought and died, he was horrified and said: "Do you mean to tell me that the soldiers had to fight under such conditions?" And when he was told that it was so, he said: "Why was I never told about this before?" I am going over tomorrow to GHQ to do a little sketch of Haig, it will be nervous work and I would much sooner be drawing his men - they are the most wonderful creatures - and sit in the most splendid way better than any pro. Major Orpen, the artist, came to lunch. I told him that every facility would be given him to study the life and surroundings of our troops in the field, so that he can really paint pictures of lasting value. The War Office already wanted to see the results of his labours in return for the pay which he is now receiving! As if he were a sausage machine into which so much meat is put and the handle is turned and out come the sausages! But war is a fickle mistress! Sir Douglas Haig was a strong man, a true Northerner, well inside himself - no pose. It seemed it would be impossible to upset him, impossible to make him show any strong feeling, and yet one felt he understood, knew all, and felt for all his men, and that he truly loved them; and I knew they loved him. Never once, all the time I was in France, did I hear a "Tommy" say one word against Haig. Whenever it became my honour to be allowed to visit him, I always left feeling happier - feeling more sure that the fighting men being killed were not dying for nothing. One felt he knew, and would never allow them to suffer and die except for final victory. (17) In 1926 Sir Douglas Haig wrote an article about the impact that the First World War had made on military tactics. I believe that the value of the horse and the opportunity for the horse in the future are likely to be as great as ever. Aeroplanes and tanks are only accessories to the men and the horse, and I feel sure that as time goes on you will find just as much use for the horse - the well-bred horse - as you have ever done in the past. In round figures this period cost the two allies three quarters of a million casualties against half a million on the German side. These figures include the casualties incurred during the latter stages at Verdun and also on quiet parts of the front; but they may safely be assumed to indicate, at least roughly, the proportion of the German loss to that of the Allies in the First Battle of the Somme. Far from the German loss being the greater, the British Army was being worn down - numerically - more than twice as fast, and the loss is not to be measured by bare numbers. The troops who bore the brunt of the Somme fighting were the cream of the British population - the new volunteer army, inspired by the lofty altruistic ideals traditional in British upbringing, in high purity of aim and single-minded sacrifice probably the finest army that ever went to war. Despite the indignation expressed by one of the higher commanders at the criticism current in England, a general who wears down 180,000 of his enemy by expending 400,000 men of this quality has something to answer for. But in a soldier character is at least as vital as intellect, and there can be no question about the quality of his (Douglas Haig) character. He had none of the lesser graces which make a general popular with troops, and it took four years for his armies to feel his personality. He had to feel his way in his task and was often conscious of blunders more acutely conscious, I think, than most of his critics. He had difficulties with his allies, with his colleagues, with the home Government, though, let it be said, he had far less to complain of on the latter score than most soldiers of a democracy. He had repeated bitter disappointments. He had the wolf by the ears, and at first he clung to traditional methods, when a smaller man might have tried fantastic experiments which would have assuredly spelt disaster. He did not revise his plans until the old ones had been fully tested, and a new one had emerged of which his reason could approve. Under him we incurred heavy losses, but I believe that these losses would have been greater had he been the brilliant empiric like Nivelle or Henry Wilson. When the last great enemy attack came he took the main shock with a quiet resolution; when the moment arrived for the advance he never fumbled. He broke through the Hindenburg line in spite of the doubts of the British Cabinet, because he believed that only thus could the War be ended in time to save civilisation. He made the decision alone - one of the finest proofs of moral courage in the history of war. Haig cannot enter the small circle of the greater captains, but it may be argued that in the special circumstances of the campaign his special qualities were the ones most needed - patience, sobriety, balance of temper, unshakable fortitude. (20) Sir Llewellyn Woodward wrote about Sir Douglas Haig in his book Great Britain and the War of 1914-1918 that was published in 1967. His knowledge of his profession was sound and solid; he was a man of strong nerve, resolute, patient, somewhat cold and reserved in temper, unlikely to be thrown off his balance either by calamity or success. He reached opinions slowly, and held to them. He made up his mind in 1915 that the war could be won on the Western Front, and only on the Western Front. He acted on this view, and, at the last, he was right, though it is open to argument not only that victory could have been won sooner elsewhere but that Haig's method of winning it was clumsy, tragically expensive of life, and based for too long on a misreading of the facts. Haig failed to comprehend that the policy of "attrition" or in plain English, "killing Germans" until the German army was worn down and exhausted, was not only wasteful and, intellectually, a confession of impotence; it was also extremely dangerous. The Germans might counter Haig's plan by allowing him to wear down his own army in a series of unsuccessful attacks against a skilful defence. Fortunately the enemy generals were of much the same "textbook" type of mind as Haig. In 1930, my wife and I were travelling back from Singapore. At Colombo the Great War Prime Minister, David Lloyd George, his wife and daughter and a personal doctor, joined the ship. Lloyd George was recovering from an operation but was full of vigour, too full, his gentle wife seemed to think, for he would stamp around the decks, his short legs shooting out aggressively in spite of the weight which they seemed so inadequately designed to carry. He was writing his war memoirs and had reached the chapter in which the clash with Lord Haig was dealt with. Enquiring one day about my war service, he asked if I had been at Paschendaele and what I, as a fighting soldier, thought of it. Few could resist his wonderful personal charm. I wanted to agree with him, and in many ways I did. No one in their senses could believe that a general, who really knew what the conditions at the front were, could have insisted on blundering on through that impossible morass. Some better way of achieving the object in view could surely have been found. I had long felt this, but an innate sense of loyalty made me hesitate to say so. L.G. was far too shrewd a judge of his fellow men to be deceived. "The trouble with you soldiers," he said, "is always the same. Whatever the rights or wrongs of any question you will always back each other up. All the same," he added, "I have yet to meet anyone who actually fought at Paschendaele who did not believe the battle to have been a terrible mistake." With that, he dismissed the subject. Personally, I know nothing of Lord Haig. I had never seen him but I believe him to have been a man of high moral quality though I had been told that he was quite unable to get down to the level of the men. There was the story of how his staff' had told him, before some inspection, that he must try to speak personally to a proportion of men on parade. Conscientiously trying to follow this advice, he said in a friendly tone to an obviously old soldier. "Well, my man, where did you start the war?" To which the man, looking rather aggrieved, replied, "I didn't start the war." After this the General passed on down the ranks without any attempt at conversation. And another story of how he visited some young officers doing a tactical course: he said he had little time to spare and could not go into the detail of the tactical scheme which they were studying, but would give them some general advice based on his own experience of war. He proceeded to enlarge on the theme that in war everything depended on being able to move faster than the enemy. As he left, he turned to the instructor and said: "By the way, what is the theme of the scheme you are studying?" To which the instructor, looking rather embarrassed, replied: "The withdrawal, Sir." I concluded that the general perception you mention is almost entirely wrong. I am not claiming he was a military genius, but the nature of the Western Front meant that every attack by either side had to be frontal—there were no flanks to turn. Haig actively promoted the methods and technologies that eventually helped break the deadlock—new tactics, machine guns, effective training, airpower, artillery, tanks and the like. In my book I argue that Haig's role in the transformation of the British army from the clumsy amateur force of 1916 to a superb instrument of war in 1918 was his greatest achievement. As for cavalry, along with many other thinking officers he continued to believe it had a battlefield role, and events on the Western Front (especially in 1918) and elsewhere, notably Field Marshal Edmund Allenby's campaign in Palestine, show he was right. Haig was undoubtedly too ambitious in some of his plans for use of cavalry, but that is not to say he was entirely wrong to use them. Was Haig a "stubborn butcher?" He was too profligate with lives and prolonged some battles, but there were political or operational/tactical imperatives for doing so, certainly at the Somme and Passchendaele. Ultimately, he was a winner.